The good, the bad and the interesting. A drive in northern California offers nature’s finest in the viewing of the giant redwood trees. And then man has to put his signature on what Mother Nature has perfected. 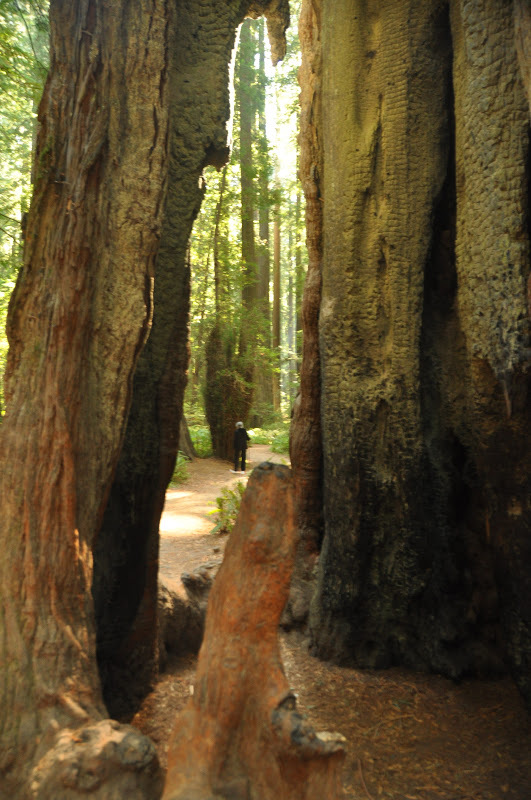 California route 254 runs throughout Humboldt Redwoods State Park along a stretch of trees referred to as the Avenue of the Giants. And there are giants everywhere. The stretch of road extends southward from Fortuna to just north of Garberville and parallels US 101. One can view towering trees still stretching toward the sky, those that have been hit by the wrath of Mother Nature and man, and a few that draw thousands because of the unique cutout that allows motorists the experience of driving their (small) vehicles through a tree. Wifey and I decided to take the half-mile walk around Founder’s Grove which is easily accessible to those with handicaps. The Founders Tree, which is 346 feet tall, is featured. 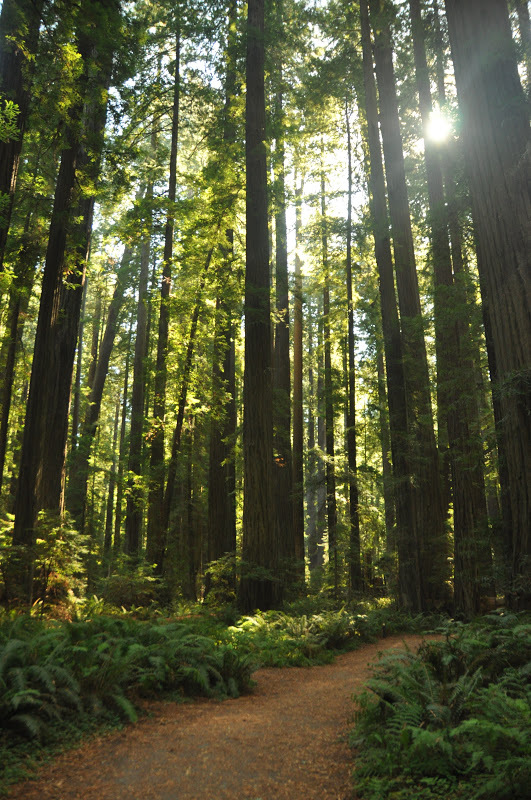 We took our time on the trail, taking in the beauty of the giant trees and the foliage along the ground. Among the trees was another fighting for life although hit by lighting and heavily damaged by fire. And then one comes upon the unnecessary signs of man’s visit -- an abundance of names and initials scrawled into some of the behemoths. 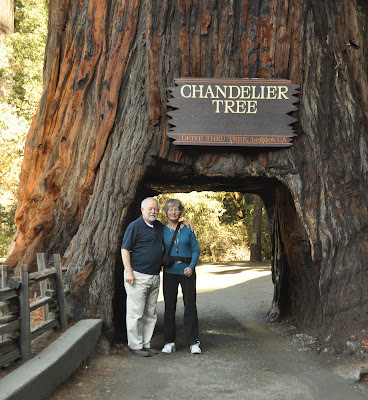 And as we motored farther south, we decided to pay the price and visit the drive-through tree, referred to as the Chandelier Tree. Although not in the park it was still an interesting experience. There is a small fee that allows access to the area which also offers a souvenir shop, a lake and picnic area. 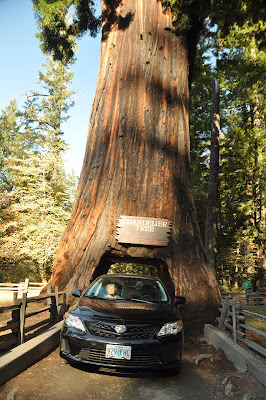 But nonetheless, a visit among the giants was, as expected, an awe-inspiring visit.